Just how vast is our solar system? An eye-opening new animation (above) really puts things in perspective. It shows that even if you travel at the speed of light (186,000 miles per second), the trek from the sun to the Earth and other planets takes a really long time. 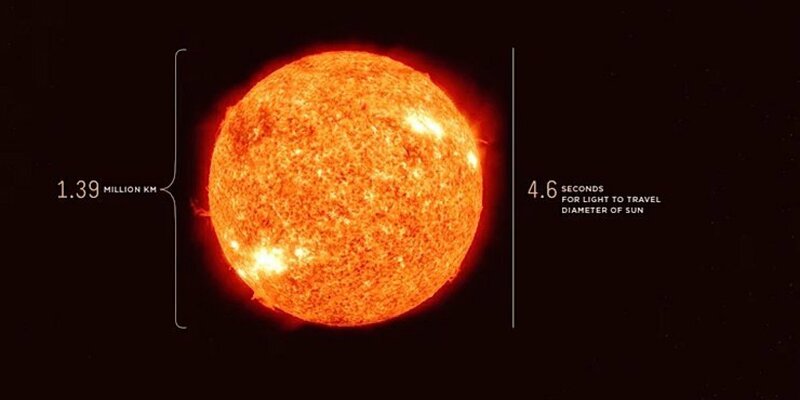 The 45-minute video, created by Los Angeles-based artist Alphonse Swinehart and posted on Vimeo on Jan. 26, starts at the sun and zooms out into the solar system. You reach the Earth and our moon at around 8:20, and the journey ends after reaching Jupiter and its moons (at around 43:20). The distance traveled and time elapsed is visible in the frame’s upper left corner. If the video continued on to Saturn, it would have lasted another 34 minutes. Found! Tomb Hidden Underneath The Sphinx Containing The Giant Sarcophagus Of The First God-King Osiris!